What can you do about it once you understand that chronic stress affects body functions? Good sleep is one of the bedrocks of health, which is why I bring up this topic first. Here is an informative video with Prof. Matthew Walker about why we sleep. This video presents clear information about the benefits of sleep on the brain, and of the body. And, in particular, in the immune system. Life is complicated! Very few people do not worry about issues in their life. Many find comfort in religion, in philosophy, and in loving relationships. Yet, many find absolute faith to be an elusive factor. Many philosophies don’t simplify life but incur more complications. High control groups demand purity, social isolation, extreme study/work schedules and charge high prices. In these, people who have left those groups realize the inherent contradiction of seeking relief while being stressed to the max. 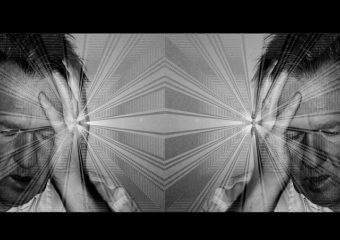 There are many stories of physical and mental breakdowns recounted by those who crawled through a long recovery, with or without help. Many experienced autoimmune diseases, cancers and the like, all stemming from chronic stress. In our work life, many pursue the large salary, intense lifestyle jobs, while being stressed to the max. In both the subcultures of high control groups and in the mainstream, the main ingredient missing for all is good sleep, and enough good sleep. 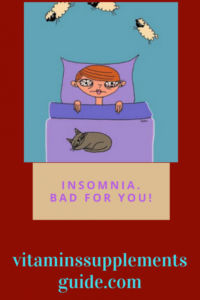 Insomnia Is Bad For Your Health is an article I wrote in an effort to guide readers to make a good choice for a dietary supplement to improve sleep. Increasing good sleep hours will benefit all your body’s functions. And, you will stress less, which in turn will contribute to your ability to sleep. 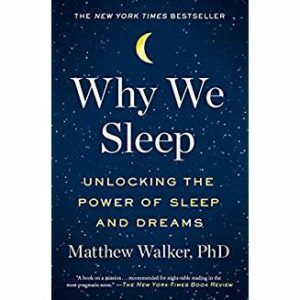 Why We Sleep by Dr. Matthew Walker clears up much confusion and long held beliefs about good sleep. There is a special function of darkness that affects our sleep. Once light starts fading melatonin is secreted in our brains. Melatonin is a hormone that prepares us for sleep. Overnight in the brain, melatonin helps the brain detox. It is essential to set your electronic reading devices to yellow light. For television watching, you can wear UV ray blocking glasses, or clip-ons to your prescription glasses. Eye shades to wear while sleeping, and black out curtains are a must for those who work a night shift and sleep during the day. However, night shifts are not healthy. You can’t stay in your Circadian Cycle reversing your sleep shifts from night to day. Just a one time event of stress will disrupt your sleep. Cortisol, the Stress Hormone, is secreted into your bloodstream. It is the cause of inflammation in your body. Inflammation is related to all degenerative conditions and aging. Dr. Walker also cites that if a person gets under seven hours of sleep in a night, tests show cognitive impairment. That’s of great concern if you think about how many nights in a month when you don’t achieve seven hours of quality sleep. Insomnia also prevents good memory creation. How can you reverse chronic stress? I’d say number one is to learn how to sleep better. Meditation helps many people to break their stressing mode and relax. In my article about meditation, the focus is avoiding binge eating. But do people binge eat? Because of stress. You can CLICK HERE if you would like to read that. Journaling can also help to release stressful thought patterns. CLICK HERE if you would like to get some ideas about keeping a journal to reverse a stress pattern. This article is also concerned with weight loss, but can be applied to any topic that may be occupying your thoughts. Would you like to know how to write a blog post like this one? How do you manage chronic stress? How do you get good sleep? I and my readers would love to hear about your strategy. Just use the comment box below. Thank you very much for a very detailed article. I have been struggling with the amount of hours that I sleep. I’m always working and recently started to build my website. However, after reading this post, I have changed my mind about my priorities and what is the best for me. I mean, I always knew that sleeping was good but your informative article has made me realized that more sleeping is necessary for a healthier life! Hi Victor. Building a website on top of your working hours is a lot of toil! I have to say that the one thing that has really helped my sleep is using UV block lenses for writing online at night. I got some clip-ons and I am careful to wear them for the last hour before I sleep. They really work! For us dedicated bloggers, I think they are real life savers! I am a single stay at home mom living off of a very humble monthly budget. My son is a poor sleeper so I suffer tremendously. In the mornings when my son wakes up super early I don’t really make an effort to get ready myself and make myself look good to the point of feeling truly confident for the day and approaching other people. I also have very bad anxiety and feel very anti-social, shy around other mothers and their kids. So this makes me feel guilty when it comes to taking my son to the playground. Here I am, a tired hot mess of a mom coming to the playground with her kid? I don’t think the other snooty moms in this neighborhood like seeing me 🙁 I feel terrible about it , I want my son to have friends and I want to have the kind of money that will allow me to pamper myself, get nice clothes, take my son to OTHER places such as disneyland, etc I mean, I cannot give my son that type of life and it really stresses me out! When you say chronic stress is falling asleep worrying about a topic and waking up worrying about it. I know that your mind creates your reality and I have listened to enough Abraham-Hicks to know that if you think or worry about something, you will only perpetuate it. Its like the universe saying, “Here, have some more of this…. have some more of this…. ” ( “this” being whatever state of mind you are in ) So I consciously try not to dwell on what I can’t control. BUT when instances happen at the playground and I can’t bring my son there because I am afraid of what the other moms will say or do… it really eats me up and makes me feel like crap for a few days. But since you mentioned how many people have diseases such as cancer or chronic illness, and I don’t… I mean, gosh… that really puts things into perspective. I am 100% healthy and so is my son, thank God but I just need to get over my shyness. Sleep is important but my son is a poor sleeper, I try to get him to sleep at 7 o’clock every night but its a battle and we don’t end up getting to sleep really until around 9pm… sometimes 10!! Then this little rascal wakes up at 6am! I don’t think this is fair but what can I do? I am a single mom there is no one else to take over to take turns with. I love my child and he comes first but at the price of me getting truly no rest means being a cranky beast for the next few years. I don’t want to be *that mom * though. I want to be a happy mother. I want to be around for a long time because I am all my son has. His father is on drugs and not suitable to be a parent so that means I really have to overcompensate and make sure my son isn’t neglected in anyway. I am healthy and I don’t have IBM or cancer or diabetes. I drink hot lemon water first thing in the morning and throughout the day I try to drink at least three cups of green tea. My diet is really give or take, nothing terrible or fast food…. but sleep is something I could definitely use more of. Sophia, I really feel for you. I went through a similar scenario. And it was easier twenty years ago to shut off the screens and use reading as a slow-down to bed time. My child was sensitive to stimulating foods and I held back the sugar as much as possible. Food colorings acted as a stimulant too. I understand the effects of thinking deliberately and focusing on what you want. Something that will reinforce that is EFT tapping, and my favorite presenter of that on Youtube is David Childerley. 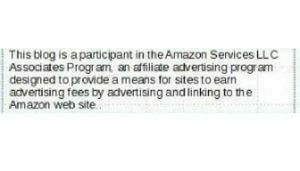 There are courses to buy, but he is quite generous in what is up there for free. It’s really tough when you’re a single parent, and not great at forging social relationships – I was the same too. If you can make one friend who will trade off babysitting with you…I don’t know how old your child is…and trade the occasional sleepover, that’s one way to get some relief. I wish you all the best in dealing with your circumstances. Thank you for taking the time to read and respond to my post! Great article! I think that some people underestimate the impact of stress. But as you’ve outlined, chronic stress can have a debilitating impact on our body. For some people, their jobs are chronically stressful and most likely impacting their quality of sleep. Seems like they just might be caught in a perpetual cycle of stress. I cannot fathom facing a stressful job day after day for any number of years. I do like the idea of using a journal to reduce stress levels. Sometimes you just may not always have someone you can go to and discuss the situation that may be stressing you out so writing about would be helpful, since doing that is also allowing you to get what’s bothering you, off your chest. Research shows that how you interpret a situation can also impact the level of stress you experience. So if someone is taking the opportunity to write about their stressful experiences, doing so just may give them some insight into how they might be interpreting the situations they find stressful. Having that information coupled with what you’ve shared here, could help them detect a possible pattern and thus deal with their stressful situations more effectively. Hi Vanessa, I think you’re right on about the journaling. Getting a different perspective is a way out of a pattern that isn’t serving us. It’s good to go back and read your last 90 days, at least that is one way to do it. Some folks do it every sixty or thirty, or even seven days. Whatever works. I actually never thought to use uv block glasses. I think it’s a great idea to put them on an hour or two before bed when watching tv or blogging. I always struggle to go to bed, no matter how tired I am. And it seems the closer midnight comes, the more awake I become! But it may be that I am self-perpetuating … and it’s actually the tv/computer monitor screen that’s keeping me awake. I will try the uv block glasses. Thank you for the suggestion! Hi Cath Anon – you’re welcome. I have had great results with the UV block glasses. 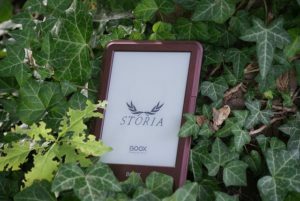 If I’m not blogging till I drop, I’m reading my Kindle and trying to relax. I had no idea, for years, that I was blocking the melatonin secretion that tells our brain it’s time to sleep! Better late than never, right? Thanks for your comment today! Holy undersized walnuts, Batman! Definitely got my goal to get more sleep pushed to the front of the line! LOL, I had no idea. Been trying to sleep more because I knew it reduces the effects of stress hormones that make you retain or gain weight but seems there are more insidious side effects, too.Your link to Professor Matthew Walker’s video was beyond helpful. I HIGHLY recommend men 40 and over watch it, in its entirety like I just did. The fact that you need to sleep after learning in order to retain what you’ve studied gives the younglings in your reading audience a reason to read your article and watch the video, too.Good article, timely in its benefit to me personally. Hi Tim, thanks for your response here. I’m so glad you watched the video and absorbed its points. If only we could get high schoolers to take sleep seriously! I wonder how many undiscovered geniuses we have because of kids who stay up half the night… and not necessarily studying. Here’s to your health Tim, and to your next 40 years of good sleeping! Agree, we all need to sleep. Sadly I personalky can only to manage to get between 5-6 hours of sleep. I would like to get more sleep but stress and life have always prevent me from sleep. I have tried all the remedies out there, of course have tried what you have suggested as well. As for me I find that If I work out regularly, like getting myself really tired, I can manage to sleep better eventhough I am stress. Haveing some nice warm herbal teas does the trick for me as well. Nowadays, we live in the world that stress is inevitable. Thank you for pointing that out sometimes I don’t even aware that i am stressed becuase I am always busy! Great post! Hi Nuttanee, thanks for taking the time to respond to my post. It’s sad that stress is the new normal isn’t it? Keep up the exercise and herbal teas! Getting a good sleep sometimes is better than not! To your success, whatever you do, so that one day life will become calmer! Hello Dee. I hope you are having a nice time with the season? Thank you for sharing this wonderful piece on chronic stress effects on body strength and brain power. 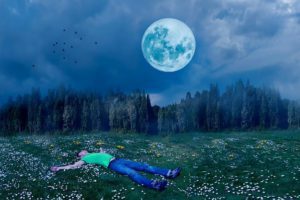 This article is so comprehensive and packed filled with useful information regarding sleep and our health and it’s benefits as well. I don’t usually get enough sleep due to my hustle Online. I will do my best to get good sleep. Hi Barry. Many of us are doing that Second Shift online right? It does present a challenge to getting those hours of sleep. Hopefully we’ll be quitting our day job one day and working online in daylight hours…on a beautiful beach somewhere ha ha. This article was exactly what I needed right now as my sleeping habits got worse in the last few months. I’m in my 20s, I don’t drink or smoke and I have difficulties falling asleep even though I don’t go to bed too early (around 1 am, which is actually late). This is why I wake up around 12 pm, which drives me crazy sometimes because the day gets shorter. As a result, I have less time to do what I had planned for the day. Fun fact: One of the reasons why I’m struggling to fall asleep is because I keep planning my daily schedule for the next day, which only makes it harder for me to focus on my plans the day after. Do you have any specific tips on how to handle this issue? Thanks in advance! Hi Ruya. I have a couple of ideas that may help you. One is to start getting into bed one hour earlier, maybe a week at a time, whatever is comfortable for you. Sleep before midnight is important. I also recommend the UV block glasses or clip-ons if you’re on the computer, watching tv, or reading with an ereader before bed. I am a schedule maker too. I recommend that you map out a week at a time, noting the things you must do each day. Then before sleeping, add in some details for the following day, knowing that your general outline for the day after that is already taken care of. I still use paper and pen for day books. I spend some time every year finding a better day book than the one I’m using. I bet you have a good one too!